Franklin Graham, son of the Rev. Billy Graham and president of his evangelistic association, gave an update on the minister's health to The Christian Post this week, stating that while the elder Graham was not in any immediate danger, a simple cold could turn the tide. Meanwhile, Will Graham, the elder evangelist's grandson, has said he believes the 95-year-old Southern Baptist preacher was ready to "go home" to be with the Lord. "He's not doing real well," Franklin Graham told The Christian Post on Thursday. "His vitals are good. It's not like he's in danger right this second. But if he got a cold right now, it could be deadly. So I just ask the people to pray that he gets his strength back. I've never seen him this weak in all my life, so I know he'd appreciate your prayers." The BGEA president's son, evangelist Will Graham, made similar remarks the day prior during a speaking engagement at a California church. "I saw my grandfather last week and he is not doing well," Will Graham told Assist News Service. "He's not suffering or anything. It's just that old age has caught up to him and is sucking the life out of him." He added, "On November 7, he finished his race and up until that time, God had protected his health and gave him supernatural strength and now, the only thing left is for him to come home. God has removed his hand of protection and old age has set in." When asked how supporters could pray for his grandfather, Will Graham did not sound very optimistic: "I don't know how to answer that anymore. I wish He would give him strength, but I don't think he needs strength anymore. It's time to go home." The remarks from Franklin and Will Graham come days after a prayer request was posted on BillyGraham.org titled: "Franklin Graham Requests Prayer for His Father." Like his son, Franklin Graham pointed to the Nov. 7 birthday celebration for his father as a turning point in his health. "Since that night a few short weeks ago, he has had another bout with a respiratory infection and was hospitalized briefly before returning home to recuperate," reads the prayer request. "Our family would appreciate your prayers for him that the Lord would strengthen him. He has been so encouraged by the release of his most recent book The Reason for My Hope—Salvation that he immediately began work on another book about a subject that he feels that God has laid on his heart. Only the Lord knows what is in store as we move forward in service to Him." Since the prayer request was published on Tuesday, hundreds of supporters have flooded the posting with prayers and comments of support and gratitude for the Rev. Graham. "My most heartfelt prayers are for Billy. Since I was a child I have loved listening to his message of Hope and salvation. I treasure the memories of seeing him in person several times. I am a Charlotte native and have had my life and faith so enriched because of his message and faithfulness to God," wrote Kim Rose. She added that she would be praying "now and throughout this Christmas season." Gordon Molengraf, shared: "Many years ago when I was 15 I heard you preach at the McCormick Place in Chicago. Your message cause me to think about Christ. Later when I was 20 I read your book The Secret to Happiness. That book helped me seek out God. My girlfriend 'Minnie' (now my wife) answered my questions about Christ. Jan. 13, 1964, I prayed to receive Christ. 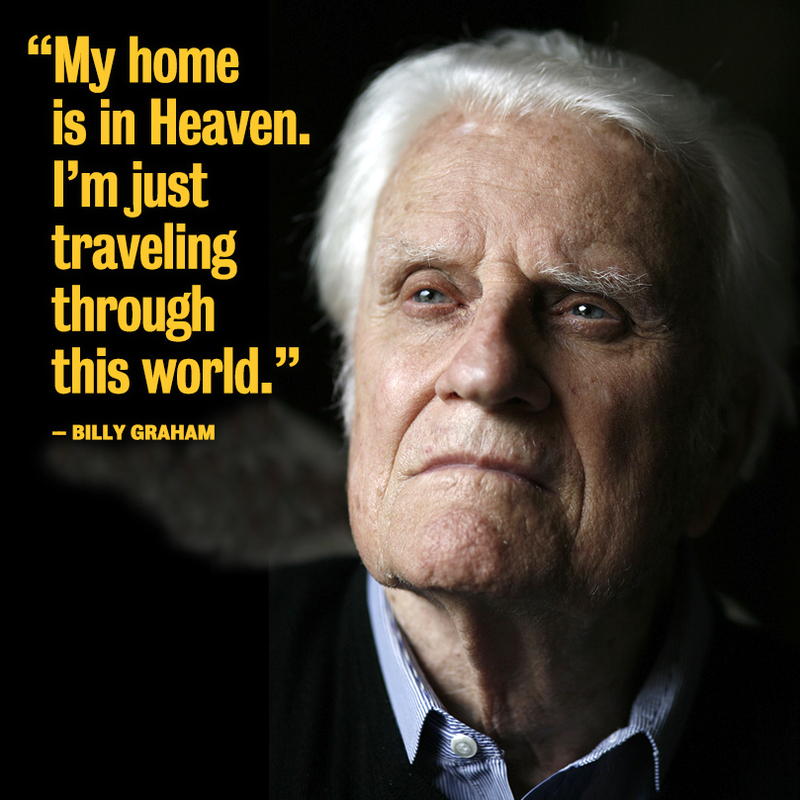 Thank You Billy Graham for being an influence in my life toward salvation." The Rev. Graham also marked his 95th birthday this year by delivering a new Gospel message that aired on several major networks Nov. 7 and was titled "The Cross." Graham has suggested that "The Cross" message to America could very well be his final one. "I've recently prepared what may well be my last message to our nation. 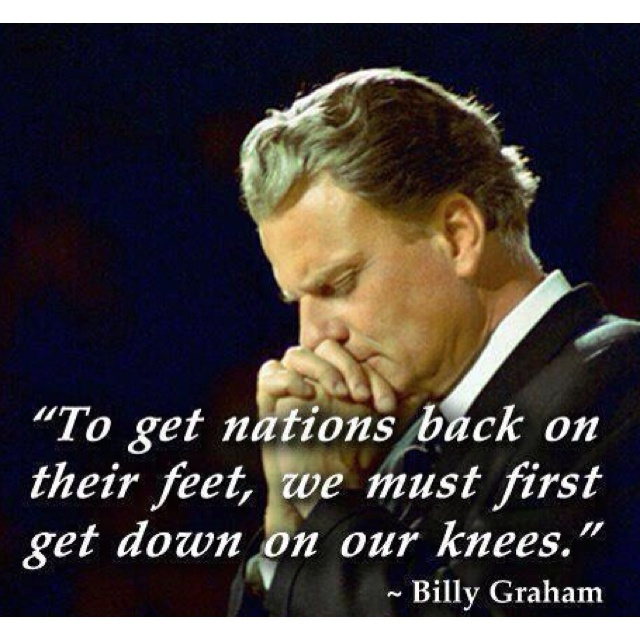 I have prayed a great deal about this," said Graham in a letter on his Billy Graham Evangelistic Association (BGEA) website before the national broadcast of his message. He added, "With all my heart, I want to remind Americans of God's amazing love and, as simply and clearly as I can, call people to 'a repentance that leads to salvation' (2 Corinthians 7:10, ESV)." Graham has experienced several health issues over the years, including Parkinson's Disease and respiratory system complications. His wife, Ruth Graham, passed away in 2007, two years after Graham retired from nearly 60 years of ministry to his North Carolina home. The Grahams have five children: Franklin Graham, Anne Graham Lotz, Gigi Graham, Ned Graham, and Ruth Graham. Billy Graham Turns 95: Milestones in Influential Evangelist's Ministry and Preaching Career.